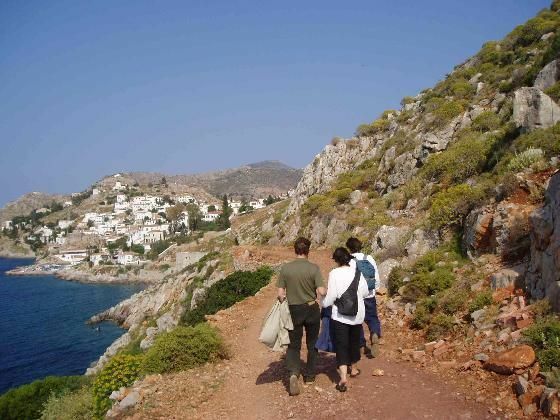 Hydra is ideal for those who love nature, walking and explorations. It offers an unspoiled landscape, mild weather and many signed paths with diverse degrees of difficulty. During your strolls you will admire the fauna, the flora, the monasteries, the chapels, the beaches and the wonderful sea views of the island. 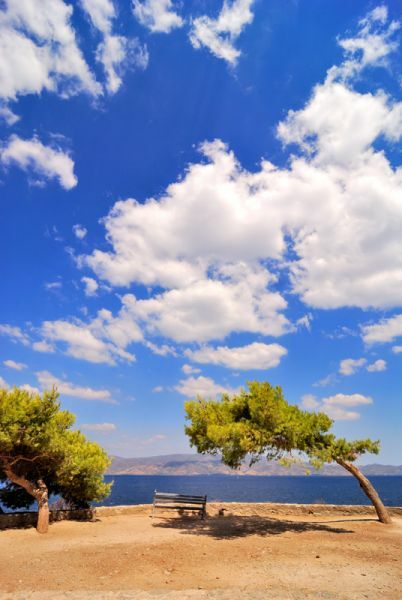 Motor vehicles are not allowed in Hydra, so you will be able to enjoy nature at its best. On your walks you will also "meet" wild flowers, pine, cypress and olive trees, donkeys, cats, rabbits, wild goats and many more. 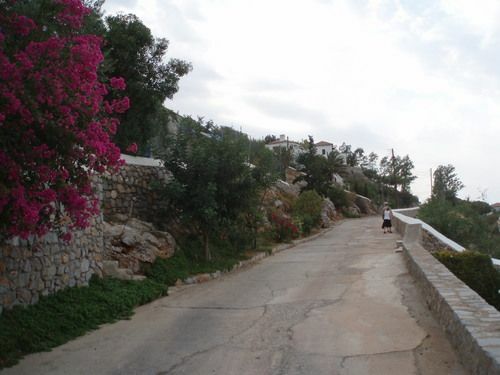 You will walk along the idyllic coastal path towards Mandraki and you will admire the wonderful sea views, the nature and a small castle (17th century) called "Kastraki". 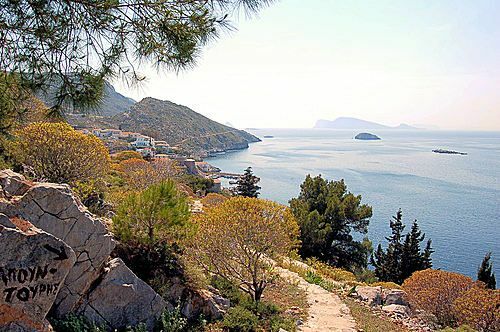 Then you will reach the picturesque Mandraki bay and after that, the castle ("Kastro" in Greek). 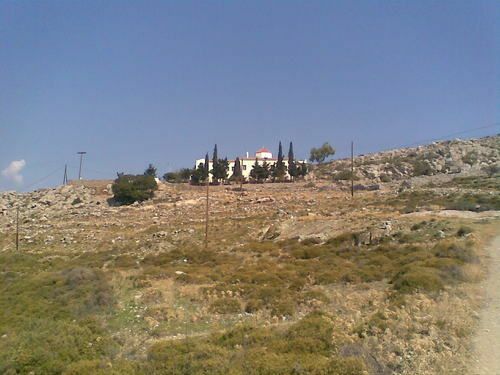 The castle was built in the early 16th century and rebuilt during the Greek Revolution against the Ottomans (1821). 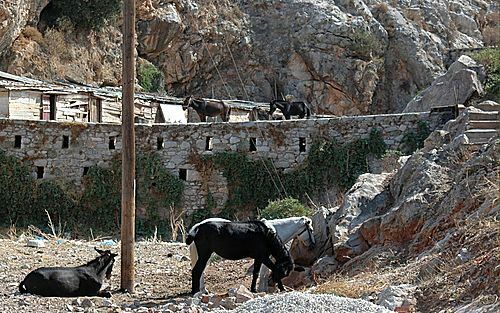 3) HYDRA - AGIOS NIKOLAOS 17th century Monastery (55min) - DIFFICULTY: Low. 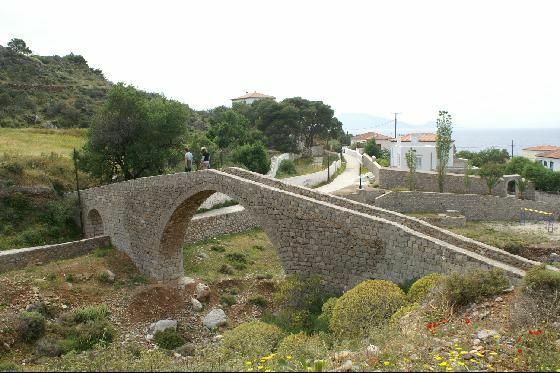 Following the path to Agia Fotini Monastery, you will meet "Milos" (Mill) which is a stone building (18th century) used for wheat production. Then you will see two paths. 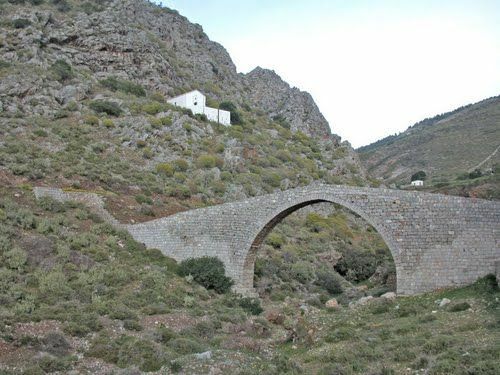 One leads to the Agia Matrona Monastery and the other to the Monastery of Agia Triada (Holy Trinity, 1704). 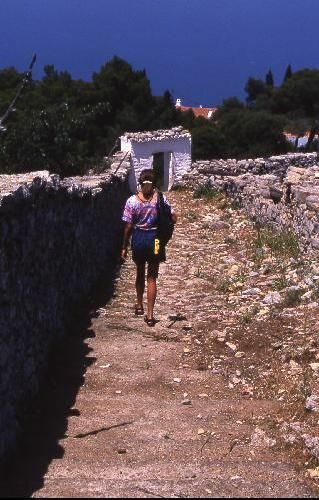 This path crosses the island and leads you to Cape Riga which is found on the southern coast. It starts from Agia Fotini. 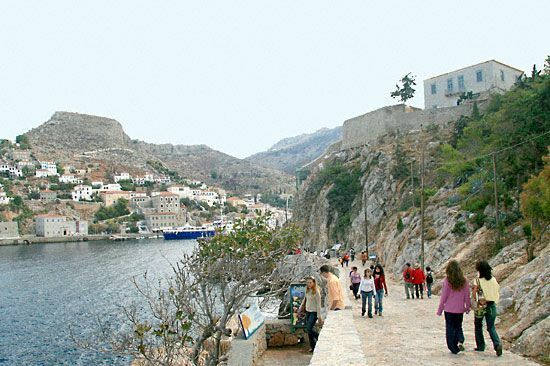 You may then visit the Monastery of Agia Triada (1704) and the church of Agios Nikolaos. 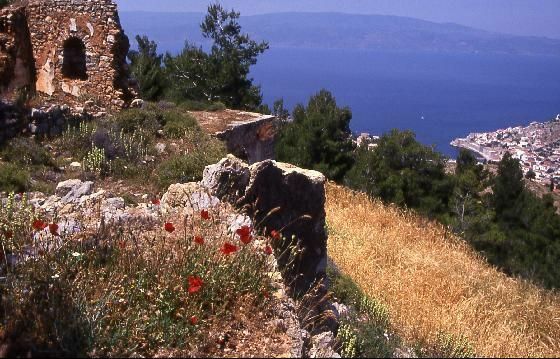 Then you will end to Cape Rigas, with panoramic sea views. 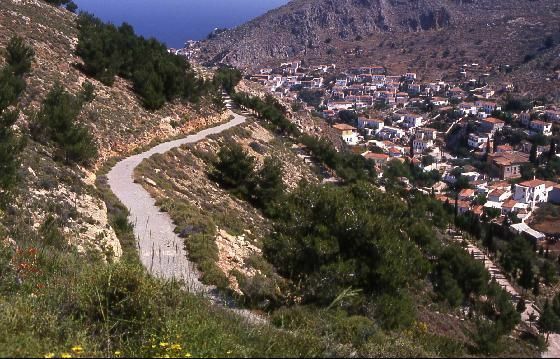 You should follow the path to Agios Nikolaos and you should lead to the north-east, towards the Mountain "Ompori". 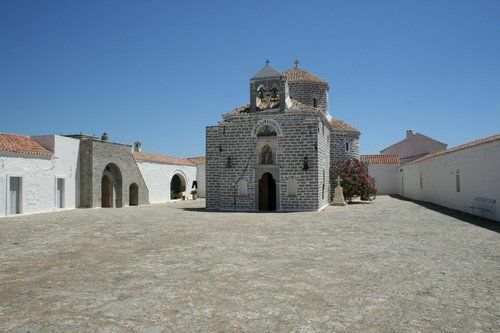 On the road to Zouvra Monastery you will meet a lot of picturesque chapels, most of which dating from the 18th century, such as: Agia Paraskevi, Prophitis Elias, Agios Georgios etc. 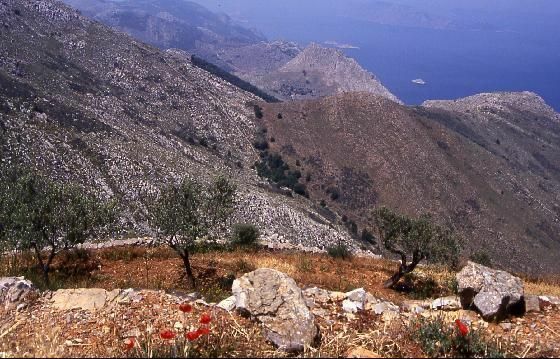 7) HYDRA - PROPHITIS ELIAS - MOUNT EROS (588m). 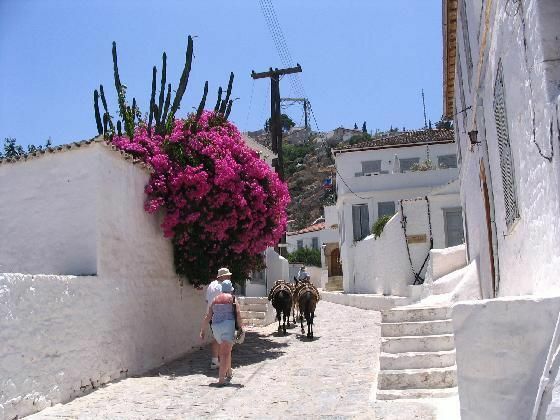 Starting from Kimisi Church on the harbour, on the eastern side, you will find a street that will lead you to Lazaros Kountouriotis Mansion & Museum (18th century) and Ipapanti Church. 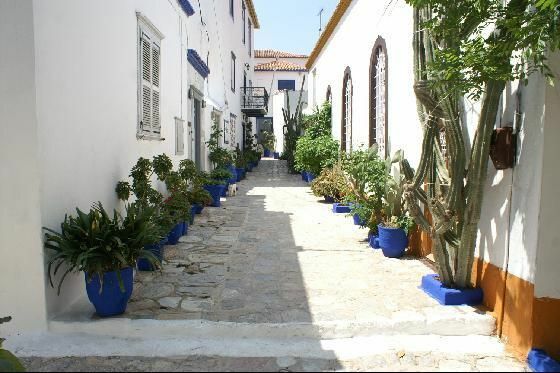 The central road leads to "Kala Pigadia" area, where the old wells of the town used to be. 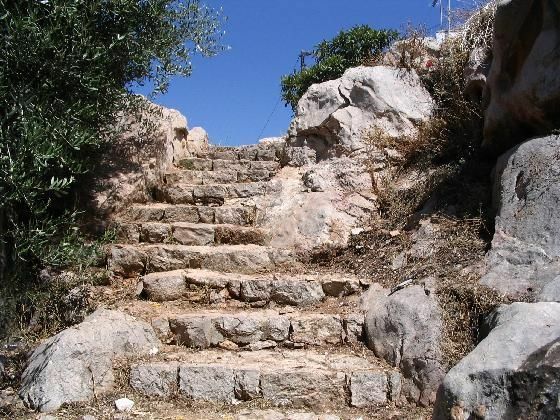 Continuing uphill you will reach the old castle town, named Kiafa. 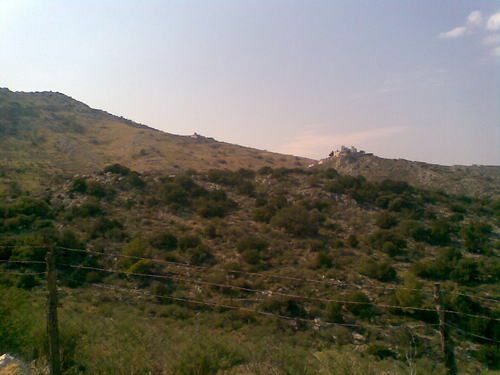 On the hill you will see the two churches of Agios Konstantinos of Hydra and Agios Ioannis Nisteftis. 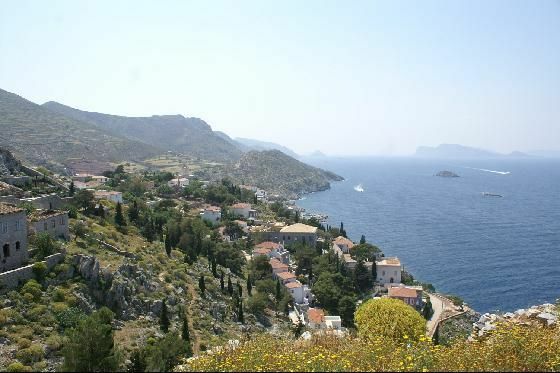 Further uphill you will reach the historic Monastery of Prophitis Elias which offers impressive views.You may also visit the women's Monastery of Agia Efpraxia, which lies further. 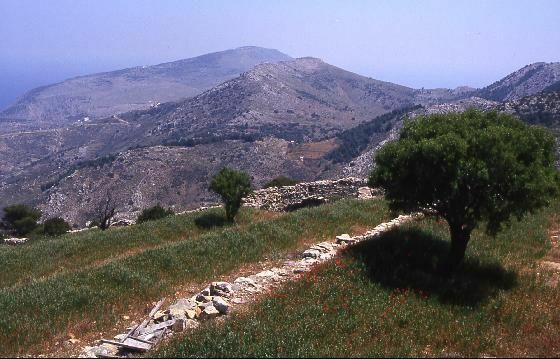 After Prophotis Elias, you will meet a pine forest and then the area of "Paleon Klogreon", where an old women monastery used to lay. Now it offers a courtyard and a cistern with potable water. 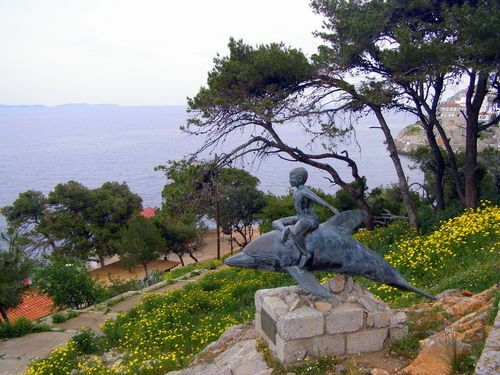 Then, you will see mount "Eros" which is the highest mountain on the island (588m).The area offers stunning panoramic views of the blue waters of Saronic Gulf and Mirtoo Sea. Followinf an idyllic coastal route you reach the picturesque little harbour Kamini and then the small settlement of Vlychos, with a beach and an old bridge (17th century). After 20min walk you will reach Palamidas beach. Many curches are found in the area. You follow the route Hydra - Palamidas, as already described. 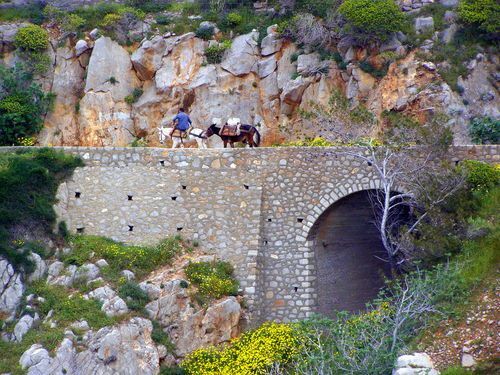 Then you will reach "Episkopi", which is a popular hunting area. 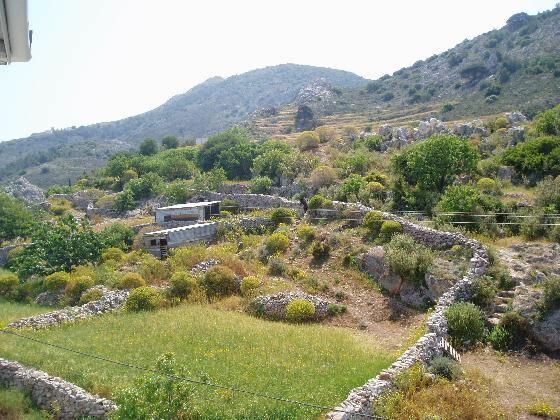 There, you will see fields, olive grows and traditional houses. 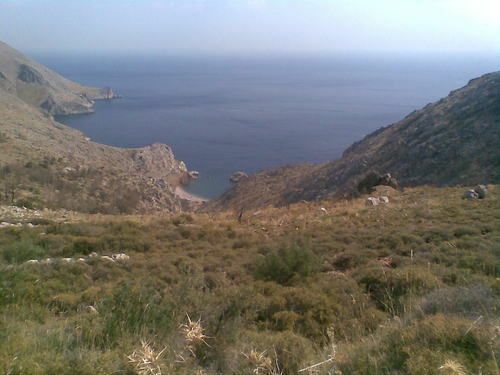 The path from Episkopi to Nisiza is quite rough but as you reach the beautiful Nisiza beach you will be rewarded. 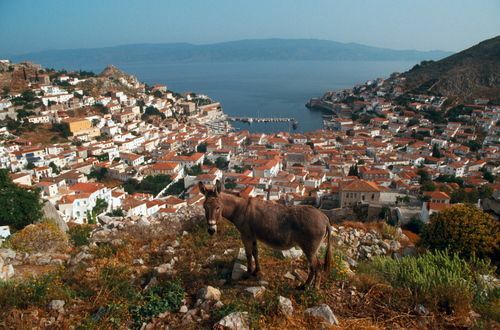 This is one of the most difficult and exciting routes of Hydra! 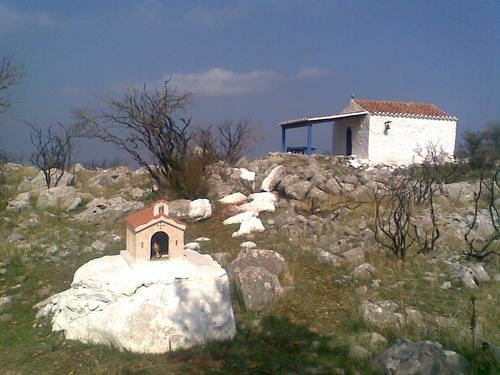 Once you reach the slopes of Mount Eros and the little church of Agios Mamas you will be thrilled. 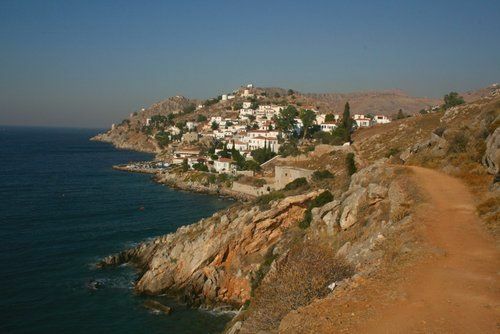 If you continue further you will reach the area of Klimaki, a place with cottages, churces and beaches.